At Healthy Tails Retreat we know you want a well-mannered dog you can be proud of. Through our training branch, Healthy Tails Academy we can help! Using gentle, scientific based training through Positive Reinforcement we can help you have the best mannered dog on the block. Our methods do not include corrections, punishment, force, or intimidation. When a Dog has learned one skill through positive reinforcement, they will learn the next skill even faster. They enjoy this method of training because it’s good for the Dog. When they want something, they are going to get to it as fast as possible, because hello, they’re a Dog. Why waste time scolding your Dog for what we don’t want them to do? Dogs don’t speak our language. We must teach them. If you want your Dog to sit quietly and calmly when guests arrive, then they must be taught to do so. It’s just like riding a bike for us humans. Once they learn something new through positive reinforcement, they will carry that new skill with them. We will teach you how to use your Dog’s new skills for everyday manners. You will begin to see your Dog offer new “tricks” they may not have before. They are so excited to learn this fun, new game you are playing. Your Dog may learn a new party trick you can show off Proudly! If you make a mistake during training-it's no biggie! Just keep going or start again. Your Dog wont be able to tell the difference. If your Dog makes a mistake, simply ignore it. You are waiting to reinforce your Dog's correct behavior. Punishment and corrections may cause fear of stimuli if not trained correctly. Dog’s may have more unwanted behaviors because they are afraid, such as: barking, lunging, or escalate to aggressive behaviors. With Positive Reinforcement, there is nothing to fear. They are working for what they want to earn, and we are working towards what we want from our Dog. Ashley is passionate about helping dogs stay with their forever home. Dogs are social animals and love to be with their people. Unfortunately, most of us don’t speak dog, so how do we make them understand that we don’t want them to do things such as digging in the yard, pulling us down the street, or eating food off the counter? Ashley will help you to understand how your dog thinks to better train him/her to be a great family companion and reduce stress for everyday situations. Ashley believes Positive Socialization and making Foundation Behaviors strong is key to having a well-rounded pet companion. Good socialization helps dogs create a positive association with the scary human world around them. Ashley specializes in socialization steps and teaching your dog basic manners for everyday life and practicing them until they are reliable in even the most distracting situations. As Hotel Manager for Healthy Tails Retreat I learn about Dog Behavior every day. Karen Pryor Academy: Dog Training Foundations, Puppy Start Right, Dog Training for Professionals. Continued Education in the form of Expos, Workshops, and Courses on a yearly basis. I have always been passionate about learning as much as possible when it comes to dogs and their training. 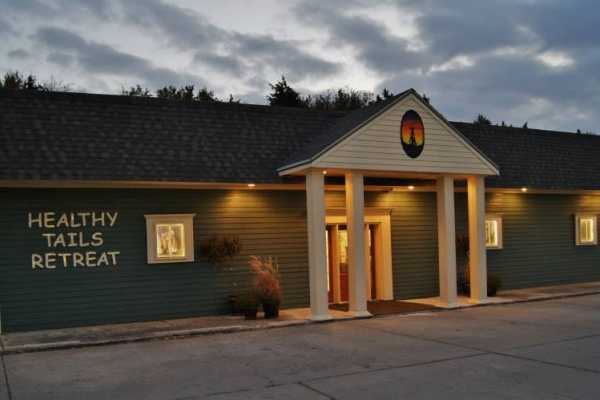 My first connection of working with other people’s Dogs came when I was hired as Hotel Manager at Healthy Tails Retreat. As a manager, I oversee ensuring Dogs and Cats are comfortable during their stay. I also manage Dog Camp or play time with the Dogs. While working with Dogs daily I quickly learned about Dog communication; which led to me understanding how I can better train them. With these new skills in tow, I quickly set off on the path of learning about positive reinforcement training through KPA. With the completion of my first two courses, we started Puppy Kindergarten at Healthy Tails Retreat. This lead to Private Lessons, other Group Classes, and Workshops. I currently reside in Shenandoah, IA with my husband and our two young daughters. I have learned many tips and tricks when it comes to Dogs and children. Our house hold pets consist of Luna (see right), a Husky Rescue Dog-Mia, our two cats Milo and Katy Purry, and our Gold Fish Fat Boy. 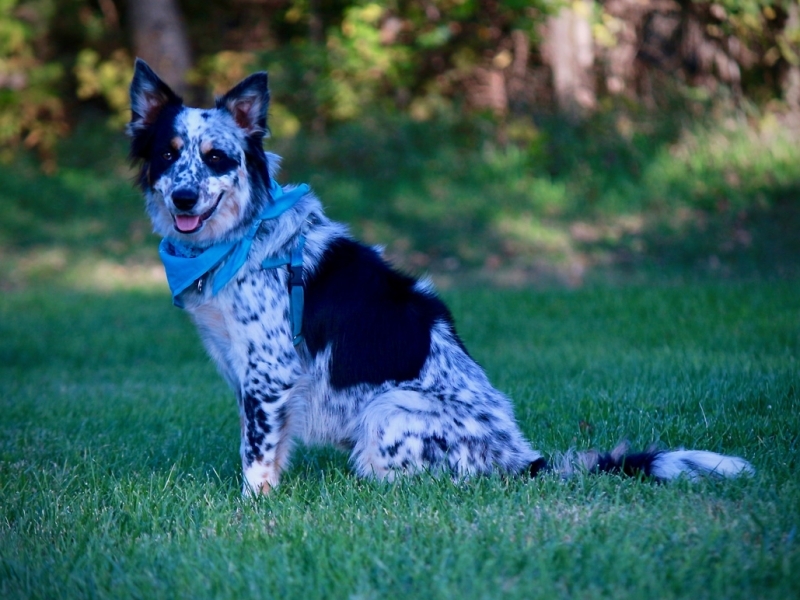 Luna is Ashley’s - Aussie/Heeler/Border Collie Mix. She was adopted at 8 weeks of age from a farm here in Iowa. 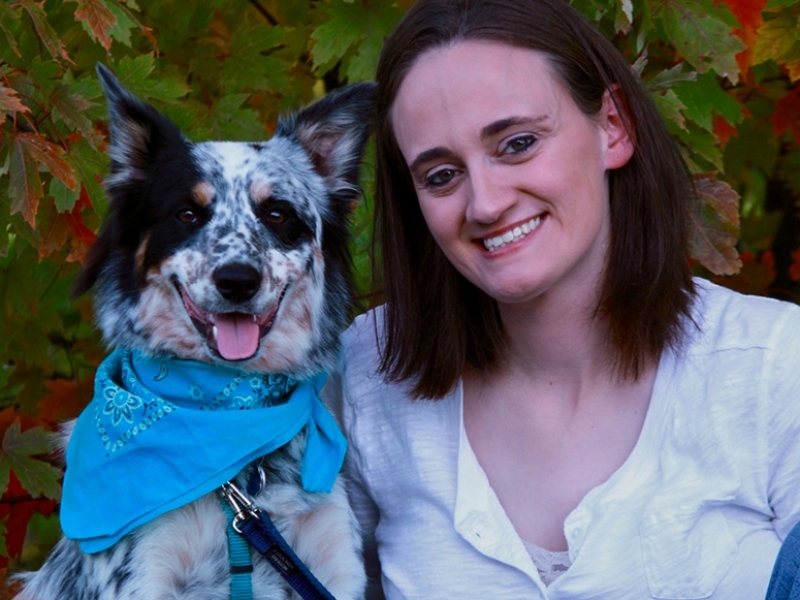 Luna was Ashley’s partner for her KPA Training Certification journey. With her help, she completed the Puppy Start Right and Dog Trainer for Professionals Course. Luna was one of the first pups to go through Puppy Kindergarten at Healthy Tails Academy. She is a regular at Dog Camp and enjoys helping socialize other dogs! My mom takes me to new places. We meet new people in a fun way. My Mom knows how to make me feel comfortable and safe, so I know it’s ok for me to give them kisses and get a belly rub. My Mom and I are working on my manners when my favorite people come home. I feel like I have not seen them in a very long time, so I must jump on them to show them how much I missed them (especially the little ones)! My Mom is showing me how to sit and wait patiently until they are ready for me to say hello. My Mom shows me new ways to have fun while she is busy. It’s too much work to dig in the trash now. Socks didn’t taste that good anyway. My Mom knows all the good spots to dig. She taught me to give up on that hole to China. Whoever China is, I will find her in this new hole! My mom likes that.